Hopefully so. I'll bring the finder to an upcoming meeting for someone to look at the threads and see if we can see why it isn't catching on properly. It is a very specific shoe for the finder which I don't fancy trying to change as it may mean drilling more holes! 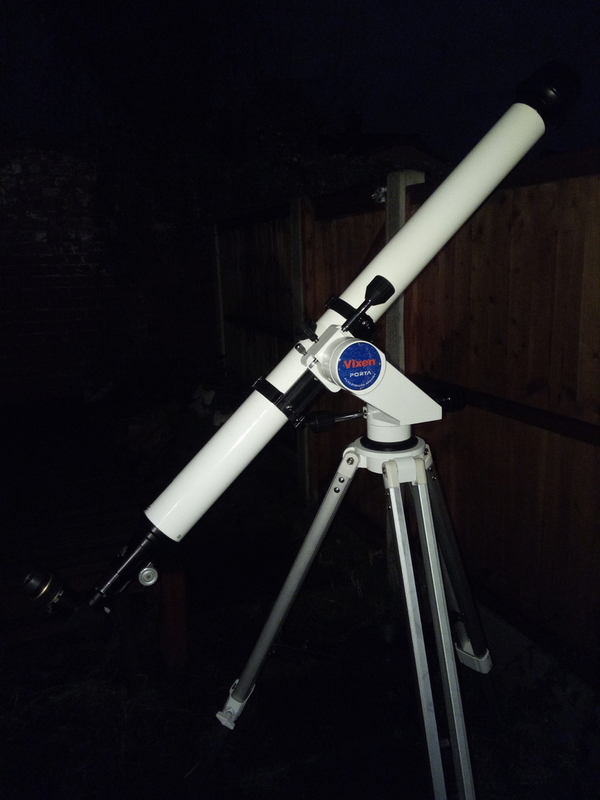 I tried swapping the finder scope itself for my Skywatcher 6x30 RACI one, but the tube just doesn't quite fit into the other foot/holder. I'll bring both to a meeting and see what we can do. I'm just hoping it turns out to be worth the effort I'm putting in. 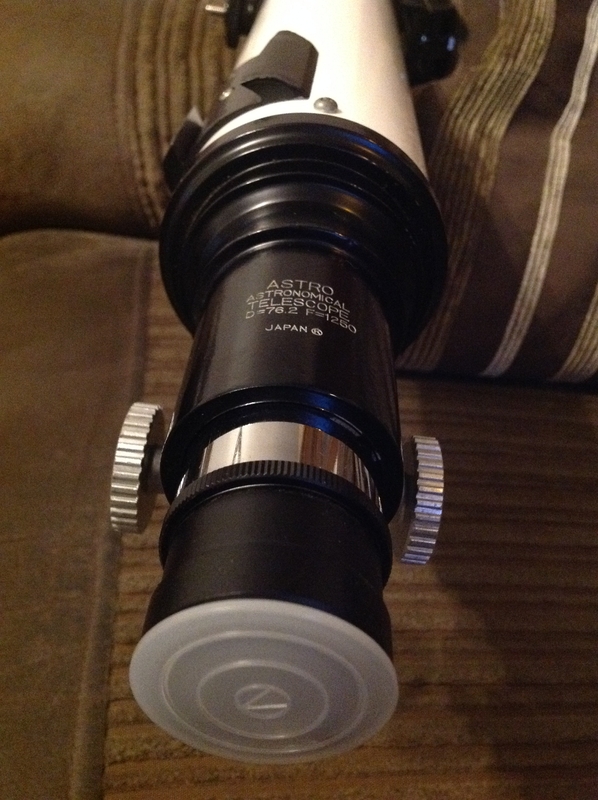 It's a great looking classic scope though, and it'll be good seeing it looking smart again. Quick update on the Prinz 660, and it is seemingly very successful so far. 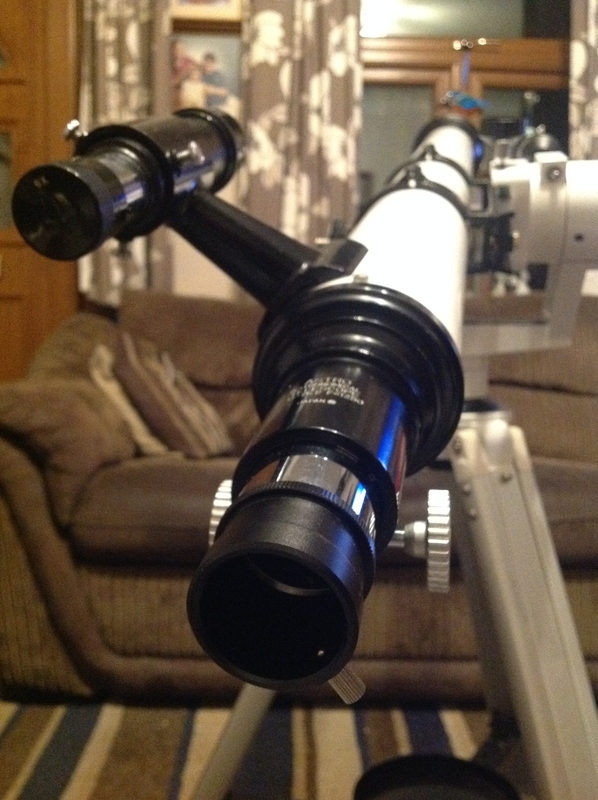 New 76mm tube rings and dovetail bar fitted. 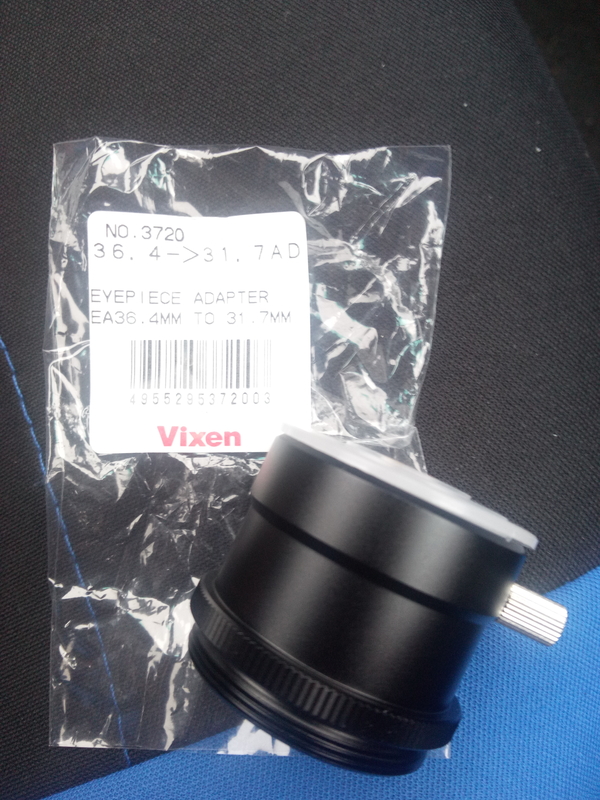 Vixen 36.4mm to 1.25" adapter arrived today, and it fits like a dream, so I can use my modern star diagonal and EPs. I have even had a play and fitted the original solar projection plate just to see what it would have looked like, although I have no intentions of using it. Unfortunately, we have mist and cloud here this evening, but I have had the scope in the front yard giving it a quick test. Buildings and lights, and the motorway traffic around 2 miles away are crisp and sharp through the EP, which bodes well. The original finder and shoe are present, although the threads on the front focus adjuster on the finder are loose and don't catch properly. 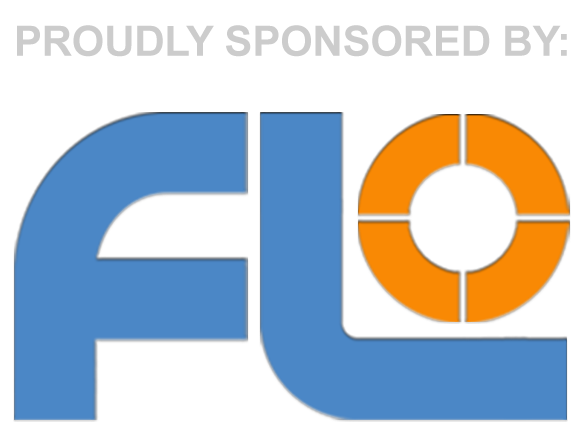 Hoping we can have a﻿﻿﻿ look at during an upcoming club meeting. 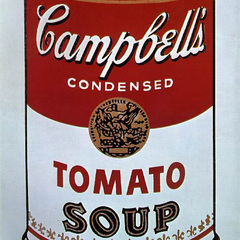 I am also going to try to fashion a dew shield of sorts (I read on one thread someone had made one out of an old 2L pop bottle which they painted white on the outside and matt black on the inside), just to give it a finishing touch as it seems as though it would have had one originally. 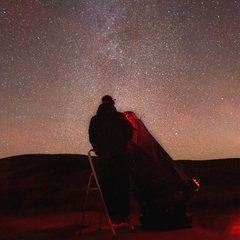 Looking forward to giving it a proper test on The Moon as soon as skies allow. 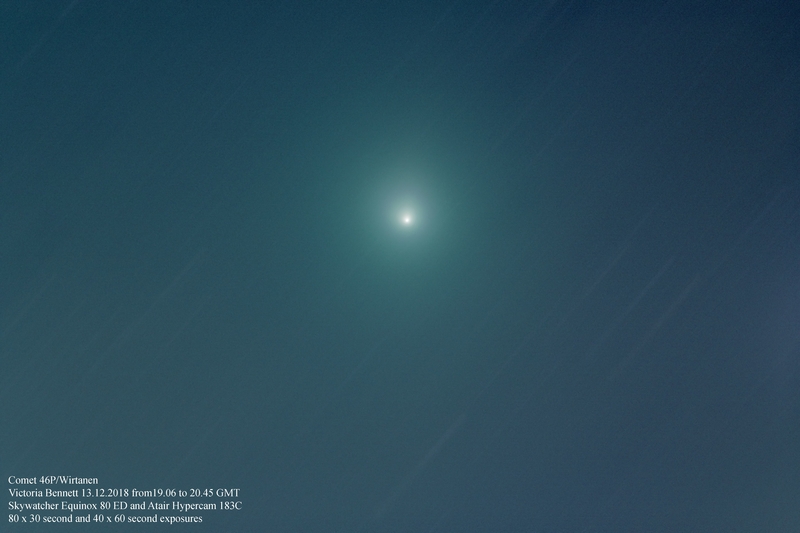 Stacked in DSS using comet mode, although I'm not sure I got this quite right. 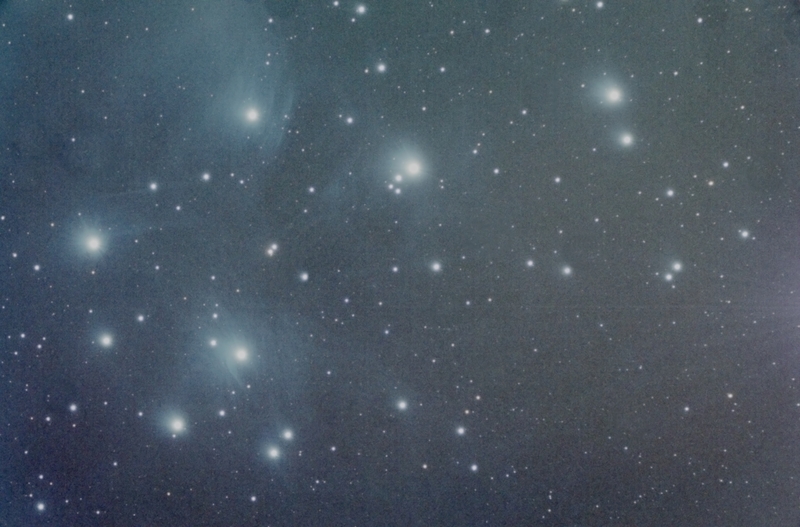 Nice images Vicky, love the pleiades one, lots of detail you have captured! 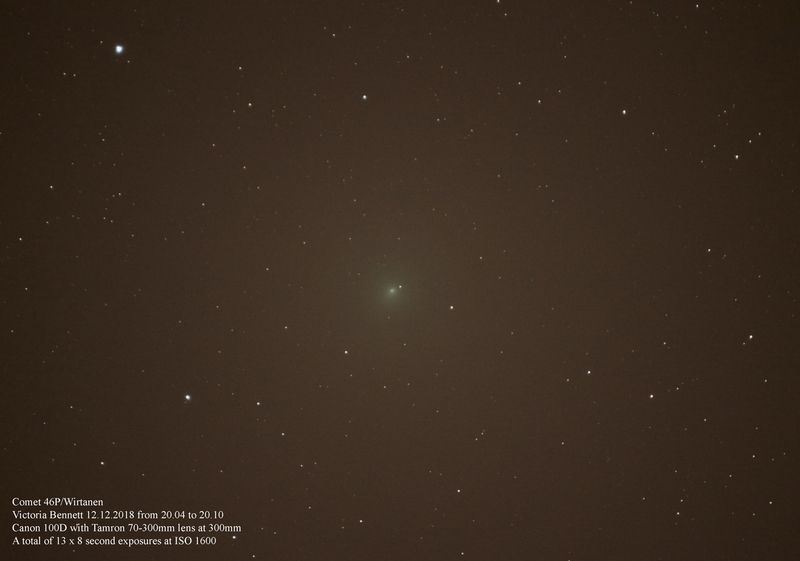 "First light" for myself with the vintage Prinz 660 for a quick bit of lunar. Wow! This thing this is boss to use! Pure joy! 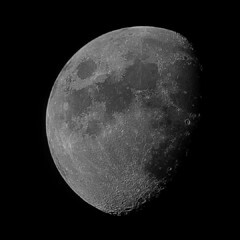 The Moon looked incredible, even when full with contrast lacking. Can't wait to test it out with some terminator detail to be seen. Definitely going to try to make a dew shield of sorts to finish the look. It's so much fun to use. Never viewed with anything quite like it. 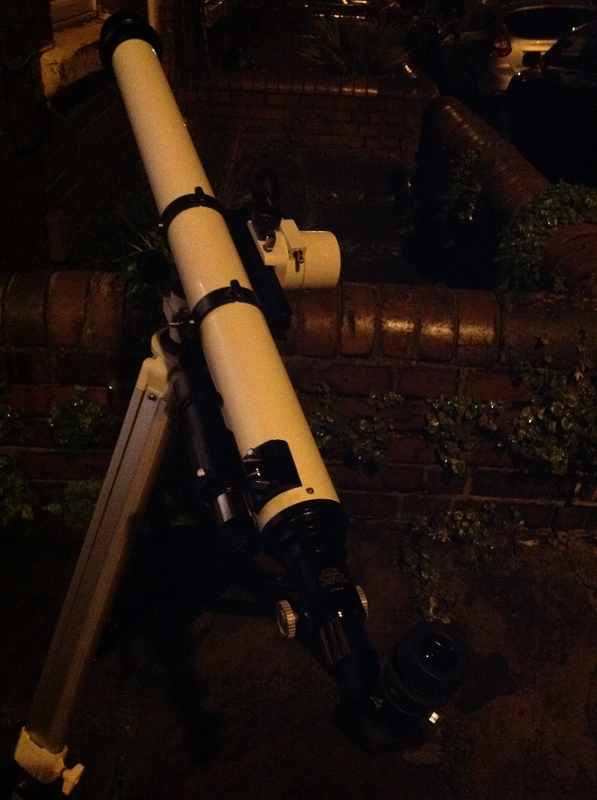 Goodness knows what the neighbours think haha, it's like a bazooka! 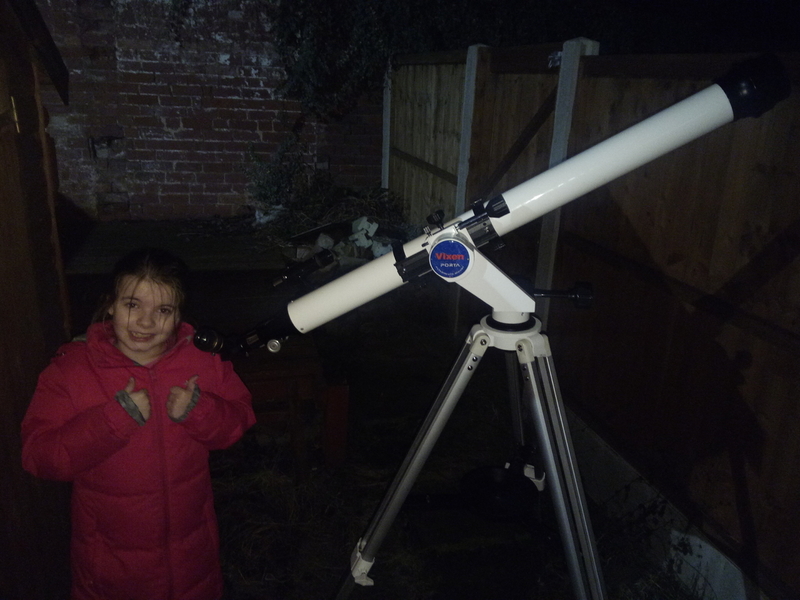 Hoping we get some clear skies Christmas Day or Boxing Day as it will be coming to the in-laws for my niece to use. 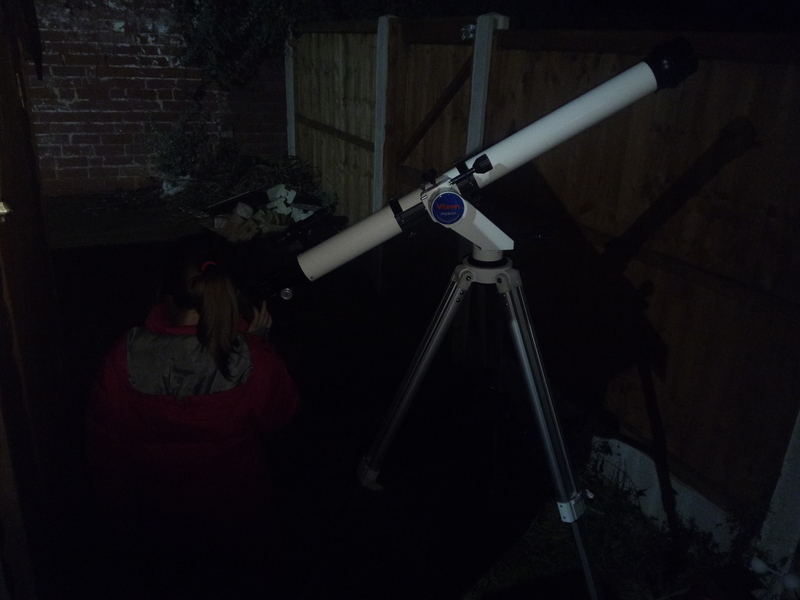 I've done it up primarily for my 2 nieces (one my brothers daughter, and the other Terry's brother's daughter) to use under my supervision as they are both really interested in astronomy. 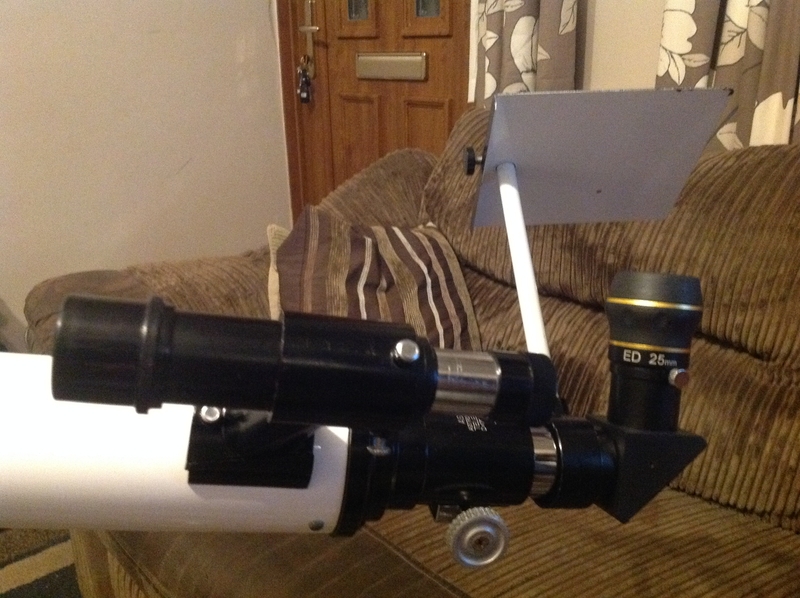 It will have to be used with my mounts and eyepieces etc. as the cost would have been too much to start buying it's own accessories. However, to be honest, I think they'd only use it when I am there showing them how to use it properly and helping them find things. 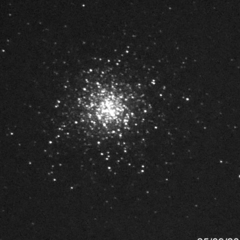 I only had a brief look at the Moon last night, and didn't get chance to do any other observing, but it seems like the optics are cracking. I don't think I'll need to start cleaning inbetween the lenses, as the small dust specks and mould (?) 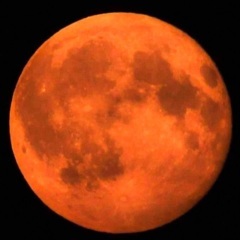 spots were not at all noticeable despite viewing the bright full moon. I've just had another look at my photo. It does look as though the scope is low down haha. It wasn't really as the tripod﻿﻿ was fully extended, you just can't see the bottom section due to the shadow. 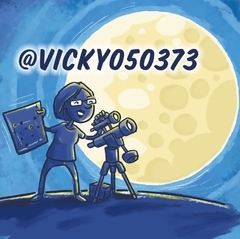 It's very very looooooong, but it was quite comfortable for viewing the Moon with the tripod extended. Wouldn't fancy viewing anything too close to the zenith though haha. I'd have to kneel down! Merry Christmas to all. Hope everyone has a great day. Well done Vic with that and great to bring another pair of eye's to the hobby.